Neodymium magnets contain Neodymium which is one of the Lanthanide series of rare earth metals and appears as element number 60 on the Periodic Table. Neodymium magnets themselves are actually made of a combination of Neodymium, Iron and Boron and hence they are sometimes referred to as Neodym, Neod, Neo, NIB or NdFeB. Magnets made from Neodymium are very strong and versatile and are supplied to work at normal room temperatures. Magnets are available to work at higher temperatures but these are more expensive. Neodymium magnets are usually coated in nickel, tin, zinc, phosphate, gold, silver, PTFE (known under the trade name Teﬂ on) or epoxy resin to prevent the iron core of the magnet rusting. Uncoated Neodymium magnets are also available. At Guy’s Magnets we stock disks, rods, cubes, spheres, rings and blocks from grades 30-52. Neodymium magnets have a relatively low maximum operating temperature of 80C. The majority of our magnets have this temperature band, however, we do stock some H (120C), SH (150C) and UH(180C) grades. Neodymium magnets are often used for special eﬀects in ﬁlms such as Harry Potter, Tomb Raider and Thunderbirds. In Harry Potter and Thunderbirds they were used to make things appear to levitate, while in Tomb Raider they were used to hold ‘bombs’ underneath a table! They are also used to levitate Maglev trains, which are both faster and quieter than wheeled carriages, and are capable of reaching speeds of 581 km/h (361 mph). Neodymium magnets are also used in magnetic water conditioners, fuel eﬃciency devices, magical tricks, sensors, speakers, separators, holding devices, actuators, magnetic bearings and motors. They are also found in slot car games like Scalextric and for holding dummies to the reborn berenger dolls. Some of our product range is even found in a well known manufacturer’s domestic boiler! Bonded Neodymium is made by binding rapid-quenching neodymium (NdFeB) powder with a resin. This is then either compression moulded with epoxy or injection moulded with nylon. The resultant magnets have high dimensional accuracy, are less brittle than normal neodymium magnets but are also less powerful. Being less brittle, they can be more easily made into thin walled ring magnets. Samarium Cobalt magnets (SmCo) are composed of Samarium, Cobalt and Iron. Samarium is element number 62 on the Periodic Table and is one of the Lanthanide series of rare earth metals. Rare earth magnets are extremely strong for their size, are metallic in appearance and tend to be made into many diﬀerent shapes such as rings, blocks and discs. Samarium Cobalt is more expensive that neodymium but has the signiﬁcant advantage of working at high temperatures (up to 350 C). Just as important is the fact that these magnets don’t rust. One notable disadvantage, however, is that samarium cobalt magnets are very brittle and allowing two magnets to jump together will certainly cause either or both to shatter. At Guy’s Magnets we stock Samarium Cobalt magnets in grades from 18-32 (MGOe of 18-32). Samarium cobalt is the choice of the world’s F1 racing teams who use these heat tolerant magnets in the braking systems of their cars as they will remain active at high enough temperatures to cope with the severe braking conditions that make F1 cars’ ceramic bakes glow with heat! These magnets are also used in the oil business, as they are able to cope with the extreme temperatures produced by drilling through solid rock. Bonded Samarium Cobalt is made by using binders, such as epoxy resins, to hold the powder in place rather than sintering the alloy (compressing it under very high pressure into a mould). This means that they are less brittle than normal Samarium Cobalt magnets but also less powerful. AlNiCo is one of the oldest magnet compounds available. The name is simply derived from the elements used, namely Aluminium (Al), Nickel (Ni) and Cobalt (Co). AlNiCo alloys make powerful permanent magnets that possess strong magnetic fields. However, they can be demagnetised very easily by placing like poles together. One significant advantage is that alnico can work at the highest operating temperature of any magnet (up to 550oC) and offers good stability when used across a wide magnetic field. AlNiCo is produced by either a casting or sintering process. Cast AlNiCo magnets are more expensive but are magnetically stronger, with finer tolerances and a more consistent magnetism. Sintered AlNiCo is made from a powdered mixture that is pressed into a die under tons of pressure, sintered in a hydrogen atmosphere. Sintered AlNiCo magnets in grades from 2 to 8 (MGOe 1.5-4) and Cast AlNiCo in grades from 5 to 8 (MGOe 5.3-7.5). The range includes blocks and rods including those for making guitar rods and ampliﬁer pick ups. Note: Alcomax 3 is another name for AlNiCo 5. At Guy’s Magnets, we only stock cast AlNiCo. Ceramic magnets are also known as Ferrite because they’re made from Strontium Ferrite which includes the element Strontium (Sr) an alkali earth metal that is number 38 on the Periodic Table. Ceramic magnets can also be made from Barium although the use of this has decreased because of the toxicity involved in making Barium Ferrite compared to Strontium based options. Barium Ferrite magnets are now rarely used with the exception of the manufacture of speaker rings where sound system manufacturers believe they contribute to a higher quality sound. Products from our ceramic range have been used in stair lifts, guitar amplifier pick-ups, sensors, switches and for ferrous metal separation in mining and water conditioners. They are also very popular for craft and artistic applications. Flexible magnet is made of ferrite magnet powder embedded in extruded matrix, usually PVC. It is magnetised during the extrusion and is usually multi-polar. This means that it has alternating bands of North and South polarisaion which run the entire length of the strip. Flexible magnetic strip can be cut with sharp scissors or a craft knife. Our flexible magnet is available with or without adhesive. Our adhesive backed flexible strip has premium TESA 4965 adhesive on the unmagnetised surface and a protective backing plastic to prevent it from acquiring dust or fluff. Flexible sheet is often bonded to paper which can be used with normal inkjet or laserjet printers. It is available in either matt or gloss finishes. Flexible ferrite magnets have an MGOe of approximately 0.85. Making a purchase could not be easier. Just browse our catalogue, click on any items that you wish to buy and put them into the shopping basket. After you have finished your selection, click on Checkout and you will be ased for a few details that we need to be able to fulfill your order. Any orders received represents an offer to buy products indicated by you, this is not a binding contract until acceptance of the order and we have shipped the goods. This means that if the price, description or any other information about the product is incorrect, Guy's Magnets shall not be obliged to sell you the product. If your item is not in stock you may click on the link to be notified when it is back in stock. Once the stock is replenished you will receive an email to advise you that stock is now available for purchase. Our catalogue prices include VAT at the current rate of 20% but you may press the toggle switch to deduct VAT should you wish. If you have a valid UK VAT number or EU equivalent, you may enter this into your account during the set up process. This is verified with the VIES website. VAT will not be charged on orders to any customer in any EU member state except those in the UK. If, during the account set up process, you enter and address outside the EU. VAT is not chargeable and the price on our website will be shown excluding UK VAT. Unfortunately, because we were not able to transfer order history from our old website to our new website, orders placed prior to 15:30BST on Tuesday 25 October 2016 are no longer visible to our customers. If you would like to know what you have ordered from us in the past, please use the 'Contact Us' link to let us know. We will be able to provide you with either a) a full breakdown of your entire order history or b) specific copy invoices. If you had an account with us prior to 15:30BST on Tuesday 25 October 2016, your account information has been brought into the new website, however, the passwords were not recoverable in the data and this was intentional for security purposes. Therefore, you will need to set up a new password. If you have any problems doing this, please let us know using the 'Contact Us' form and we will generate a temporary password and email it to you. We aim to ship all items as soon as payment is cleared. This means that items ordered and paid for by 12 noon (UK time) Monday-Friday are usually dispatched on the same day. Items ordered and paid for after 12 noon or over the weekend are sent on the next working day. The total weight of your order will be increased by 15% to allow for the weight of the packaging. We never charge excessive amounts for postage and packaging. Our P&P charges are made up of the Royal Mail charge for the service plus a small contriubtion towards the packaging materials, plus VAT, which we are legally obliged to charge. PLEASE NOTE: that orders are often too big for standard letterboxes. We aim to have a free or substantially subsidised P&P option for all UK destinations including Highlands, Islands and Northern Ireland. Orders under £5.00 in value are shipped by Royal Mail 24 which is another name for Royal Mail standard 1st class post. This is a 1-2 working day service, but it is not guaranteed. Orders over £5.00 and under 10kg in weight are offered Royal Mail Tracked 48 service. This is a 2-3 working day service but it is not guaranteed. Orders over £100 and over 10kg are offered a UPS service either free or at a substantially discounted price. Depending upon your location this can be a next working day or a 1-2 working day service. We aim to offer an upgrade to either Royal Mail Special Delivery or UPS next working day services at cost to all UK destinations and for all packages up to 60kg in weight. Please note that for some UK highlands and islands destinations, UPS can only offer a 2 working day service. Orders will be sent by Royal Mail Standard International, to most destinations. The cost of this service depends upon the weight of the packed order. Delivery to European destinations is normally 3-10 working days. Delivery to anywhere else in the world is normally within 5-15 working days. These timescales are not guaranteed, and orders may take up to 25 working days to arrive. Customers in the following destinations will always be charged for International Signed, Tracked or Tracked&Signed due to ongoing issues with delivery to those destinations: Afghanistan, Africa (all countries), Albania, Armenia, Azerbaijan, Bangladesh, Bhutan, Bulgaria, Canada, Croatia, Cyprus, Georgia, Greece, India, Italy, Kazakhstan, Korea (North and South), Kyrgyzstan, Maldives, Malta, Moldova, Mongolia, Nepal, Netherlands, Pakistan, Romania, Sri Lanka, Tajikistan, Turkey, Turkmenistan, USA, Uzbekistan. This list is subject to revision without notice. Upgrades to Royal Mail International Signed, International Tracked or International Tracked&Signed are offered to most destinations. Not every service is available to every destination and the services offered will be as per Royal Mail's service offering. The cost of these services depends upon the weight of the packed order. A tracking number will be emailed to the customer. This tracking number can be used on Royal Mail and, with the exception of Canada, within the destination country postal service. For selected European destinations, UPS courier options are available for packages weighing less than 30kg. Delivery timescales can be up to 10 working days. A tracking number will be emailed to the customer. For some destinations, we are not able to set up an automatic postage price, in these instances, you will not be able to complete your order and you will need to contact us for a shipping quotation. The Distance Selling Regulations provide consumers with the right to a 'cooling-off' period to allow you to change your mind. Under these regulations, you have the right to cancel your order within 14 days of delivery (starting the day after you receive the goods) and to return the goods for a refund. The Distance Selling Regulations do not apply to businesses nor to individuals who are trading or acting as a trader (buying goods to re-sell for profit) because no-one is the 'Consumer'. This means there is no 'cooling-off' period and the order cannot be cancelled once processed. Regardless of whether you are a consumer, business or trader, we are happy to cancel any order before dispatch. Contact us using the contact us opotion or by email at info@guysmagnets.com and we will cancel the order and initiate a refund. Please include the full name which your account is set up in, your address and your order number. Send us an email at info@guysmagnets.com within 14 days of receiving your goods stating that you wish to cancel the order. Please include the full name in which your account is set up, your address and order number. We are always trying to improve our customer service and product range and, therefore, it would be helpful if you could also include a brief explanation as to why you are cancelling your order. All products must be returned in their original packaging and in re-saleable condition. Failure to adhere to this requirement may result in transit damage in which instance the goods will not longer be in saleable condition. In these circumstances, no refund will be given and the goods will remain your property and will be made available for you or your agent or courier to collect at your convenience. In the extremely unlikely event that your item is damaged during transit or is faulty, we will, at our option, make good any shortage or replace any damaged of faulty goods or refund you to the amount you paid for the product provided that you notify us of the problem, by email, within 14 days of delivery of the goods. Nothing in this clause affects your Statutory Rights. Please send us an email at info@guysmagnets.com and please provide details of the exact nature of the damage or fault. It would assist us if you would also send photographs of the damage or fault. We may, while deciding the best course of action, contact you by telephone or email for further information. We will also contact you to notify as to how the problem is to be resolved. In the event of a manufacturing defect, we may, at our decision, ask you to return the goods to us by recorded delivery. In this, and only in this instance, will the postage charge be refunded by us. Guy’s Magnets Ltd has invested substantial money, time and effort producing the photographs and graphics on our website. The photographs and graphics on our website are those we use on eBay are copyrighted. Guy’s Magnets Ltd makes every effort to protect its trademarks, its corporate logo, image designs and various product names and ensure that others do not misuse them. Guy’s Magnets Ltd will not allow the use of these copyrighted materials without prior and express written permission. Guy’s Magnets Ltd does occasionally enter license agreements for the use of our copyright materials. If you are interested in obtaining such a license, please contact us by e-mail or phone. Guy’s Magnets Ltd printed materials are copyrighted and may not be reproduced in whole or in part by any other persons. What magnets do I need for my guitar pickup? How many Fuel Misers do I need? Are your magnets permanent or will they loose strength? Can I put two pieces of flexible magnetic strip together? How many Limescale Goodbye units will I need? Will a magnetic bracelet work on my knee, hip, back etc? 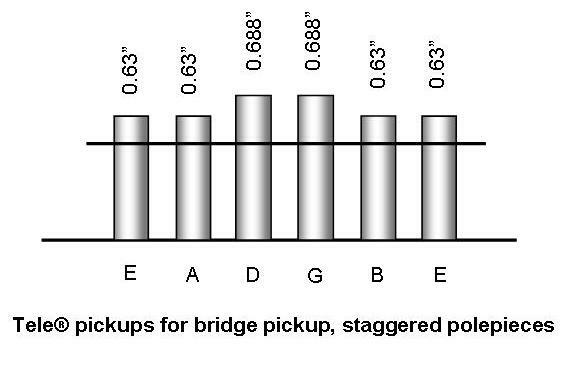 Tele® bridge pickups are always south up. 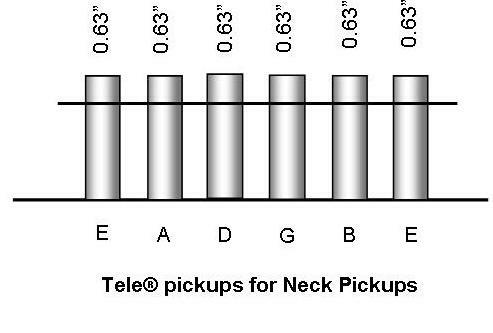 Tele® neck pickups were north up but became south up in the mid 1950s. Strat® were north up until 1960 when they became south up and remained this way with the exception of some of the newer models such as the 'Texas Specials'. From 1957 the Jazzmaster has a north and south to make them hum-cancelling in the middle position. The same is true of the Jaguar, Mustang and Jazz Bass-paralleling Gibsons' new humbucking pickup. 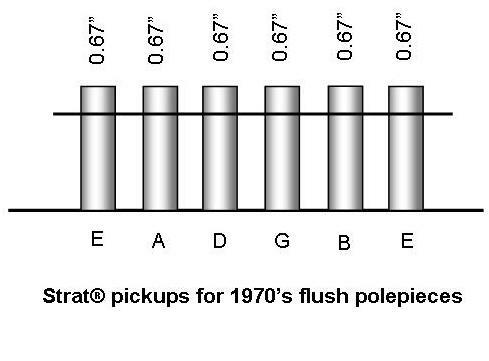 The P-Bass has one part of the pickup north and the other south to make it hum-cancelling. 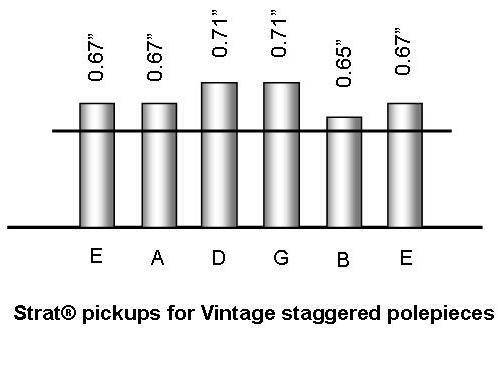 Early P-Basses with the Tele-style headstock had a Strat-shaped single coil pickup Gibson P90s are always south up and the PAF humbuckers are south on the screwside and north up on the slug side. ALL the magnets we sell are permanent and do not require electricity to work. Craft magnets are susceptible to mechanical wear (knocks or dropping) and will loose magnetism as a result. Neodymium magnets loose 2% of their magnetism in the first 20 years after being magnetised and NONE after that. All flexible magnetic strip is magnetised in alternating bands of North and South Magnetisation and each band runs the entire length of the strip. The 12.5mm and 25mm widths of flexible strip have the same magnetic polarity on the outside edges so they do not marry up properly and are offset by the thickness of magentic bands. To address this issue, we sell these widths in A form and B form which are magnetised with opposite polarities. Using a length of both A and B forms will ensure that the strip aligns at the outside edges. The 20mm and 50mm widths of flexible strip are what is known as 'Mating' and the outside edges have opposite polarity to each other. Therefore, to get them to align correctly, cut a second length, and spin it through 180° and bring the black sides together and they will align. If you want to condition your cold water you will need at least one, on the mains water pipe above the stopcock. Depending on the size of your house you may also need one on a cold water tank (UK only). To condition your hot water you will need at least one on the pipe going into your hot water tank. Yes. The study that was carried out in 2004 showed that pain relief was achieved in patients with long term hip and knee pain by wearing a bracelet. The magnets do not need to be at the site of the pain to have a beneficial effect. The study found that the stronger the magnet, the quicker the result and that polarity did not seem to have an effect.